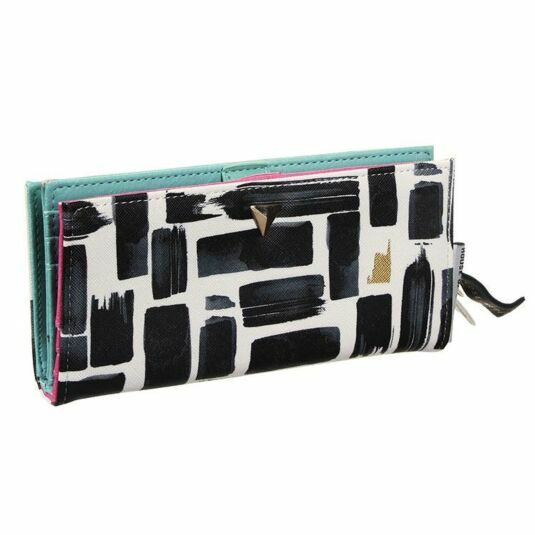 This stunning wallet from the Paint collection by Disaster Designs is the perfect everyday accessory. Thanks to its multiple pockets and striking design, it effortlessly combines high fashion and practicality making it ideal for women of all ages. 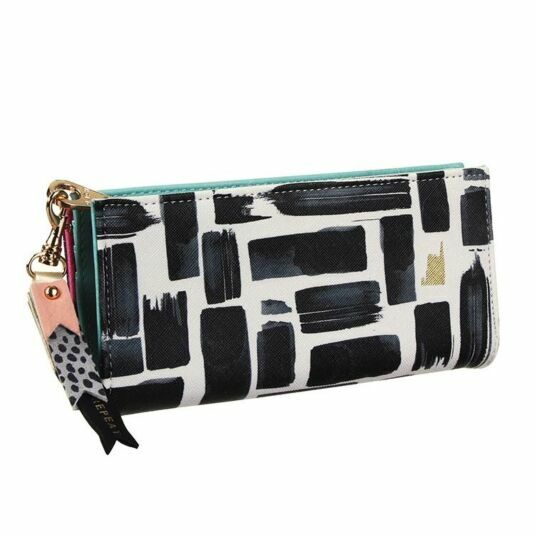 Printed upon a cross hatched, faux leather, different shaped black rectangles make up the pattern which covers the entirety of the exterior. With the brush strokes still visible, each one looks as though it has been painted directly onto the piece adding charm and character. A gold shape features as an accent on both the front and back, matching the golden zip and zip pull which is finished off with four pieces of faux leather ribbon in complimentary colours and designs, the longest reading ‘Open, Close, Repeat’. 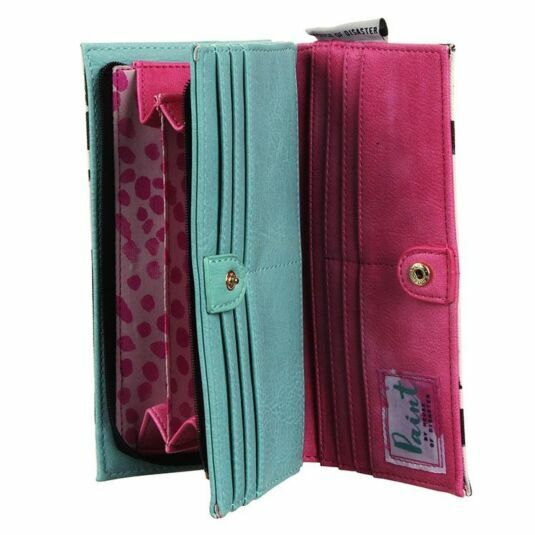 In contrast to the mostly monochrome exterior, the inside is made up of bright pink and turquoise faux-leather, featuring sixteen card slots, two note pockets plus a compartment for coins. Securely fastening using a push popper and a zip, you can rest assured the content of your purse is not only safe, but stylish. This stunning piece is the perfect Christmas or birthday gift for teenage girls through to yummy-mummies! Full of practical features and beautiful details, it will add a splash of colour to any accessory collection, sure to be adored by all!